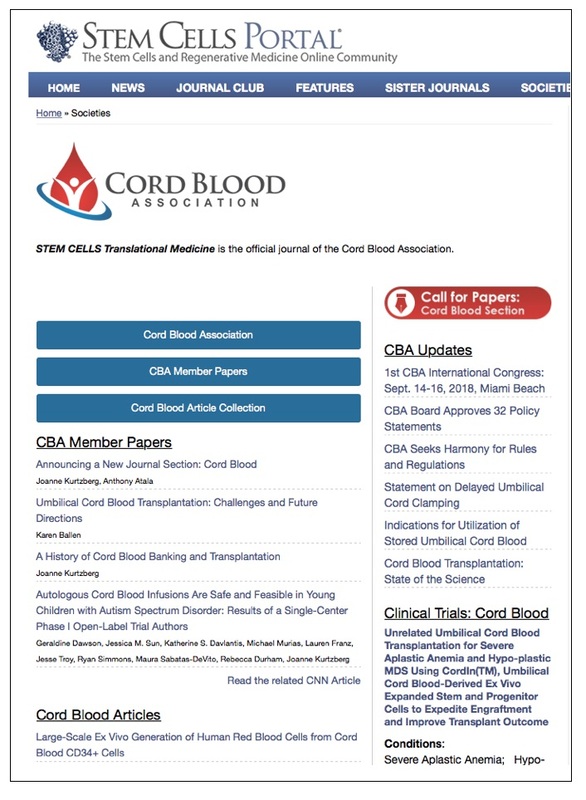 STEM CELLS Translational Medicine is the official scientific journal of the Cord Blood Association. The monthly online peer-reviewed journal, published by AlphaMed Press, presents articles on umbilical cord blood and tissue banking, cord blood and cord tissue therapies, engineering and manufacturing of cord blood immune cells, and the use of cord blood and cord tissue in regenerative medicine. Publication fees are waived for CBA members.